If you don't win, don't worry. 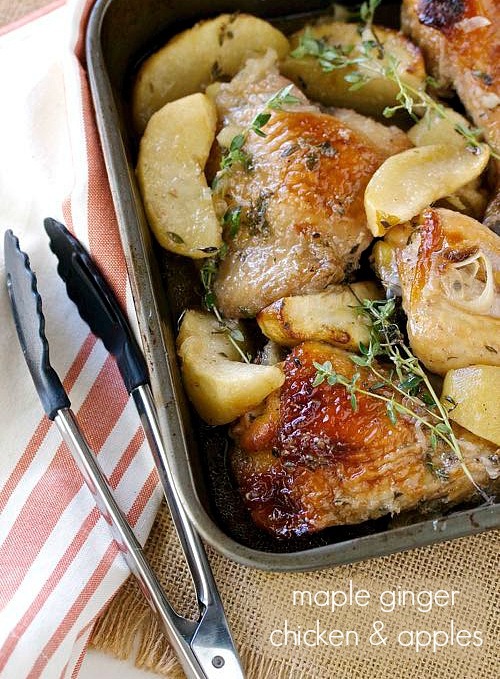 You can start your own obsession with Maple right now by making Katie's recipe for maple ginger chicken and apples. 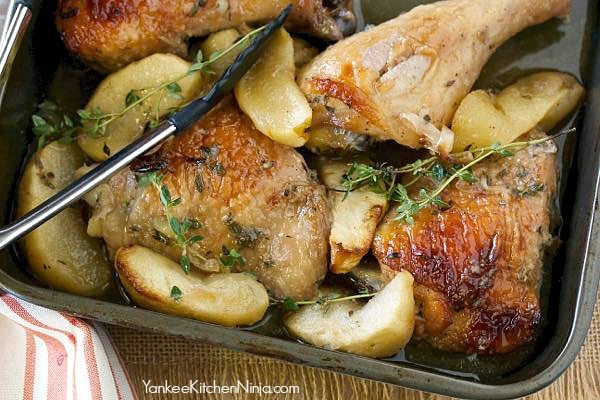 The sauced chicken is fall-from-the-bone tender and the apples add just the right amount of sweetness: it has quickly become one of Mr. Ninj's favorites -- and mine, too, because of how effortless it is. It's one of those recipes you can pop in the oven while you tackle the other things on your to-do list -- plus it makes the whole house smell like fall. And you know I'm all about fall right now. Are you loving fall right now? 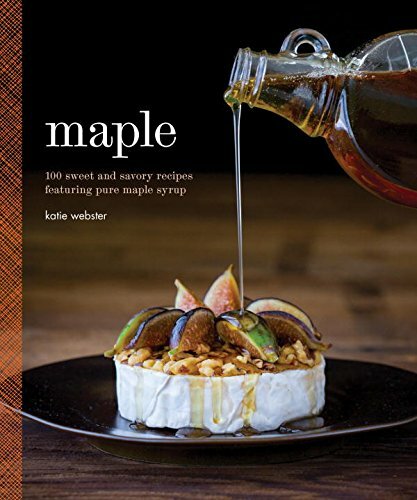 Leave a comment -- and don't forget to enter the Maple cookbook giveaway! In a bowl, whisk together the first 8 ingredients (shallot through pepper). Place the chicken into a ziplock bag, pour in the marinade, then seal the bag and refrigerate for at least 12 hours, turning the bag occasionally to coat all the chicken. Once the chicken has marinated, preheat the oven to 400 degrees F. Take the chicken from the bag and arrange the pieces plus the apples in a 9 x 13 baking dish. Tuck the thyme sprigs in and around the chicken, then pour the marinade over it. Bake, basting the chicken every once in a while, for about an hour or until fully cooked. And be sure to spoon some of the sauce over the chicken and apples when you serve it. I love real, good quality maple syrup...but one of my favorite tricks is to use maple syrup in gallon batches of beer and wine. Add a bit to the bottles when you bottle the brew to help it carbonate! Yep, it's gotta be the real deal for me, too. Love your idea of using in beer! Completely agree, Bonnie -- nothing like it! I have a few different fall recipes that I love to use maple syrup in. My most recent favorite is roasted butternut squash with bacon. I haven't used it in a chicken recipe yet, but gosh, this looks SO DELICIOUS! It's going on my must-try list. Maple pairs so well with butternut squash!